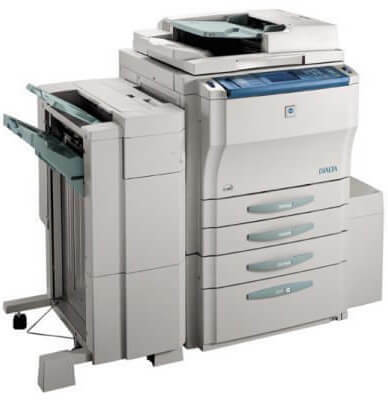 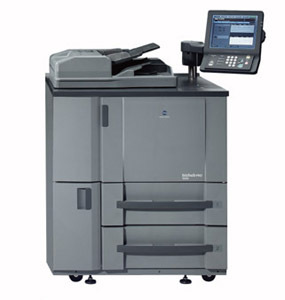 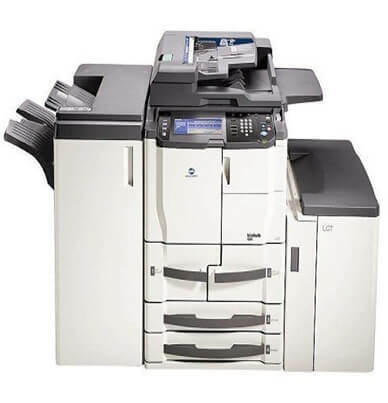 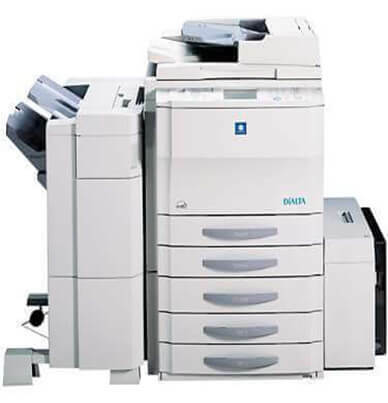 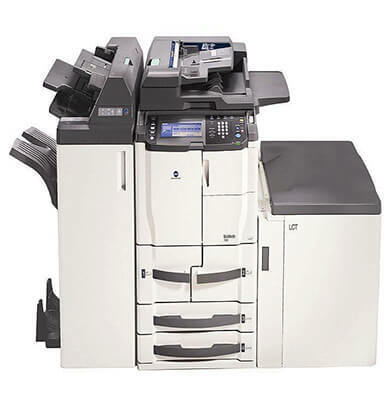 The Konica Minolta Bizhub 950 standard features include copier, printer and scanner. 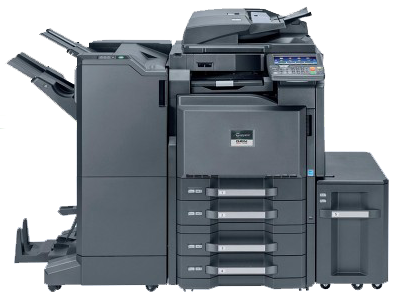 Print speeds are dispersed at an amazing 95 pages-per-minute in as little as 3.1 seconds. 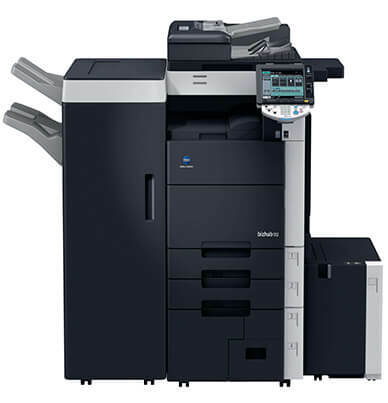 The Konica Minolta Bizhub Pro 950 standard features include copier, printer and scanner. 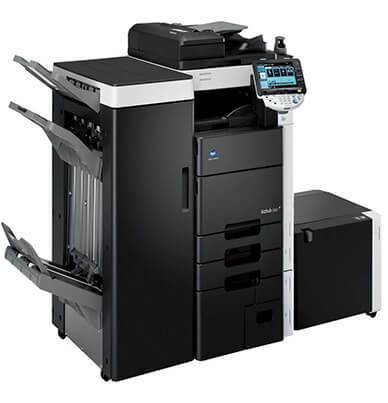 Print speeds are dispersed at an amazing 95 pages-per-minute in as little as 3.1 seconds. 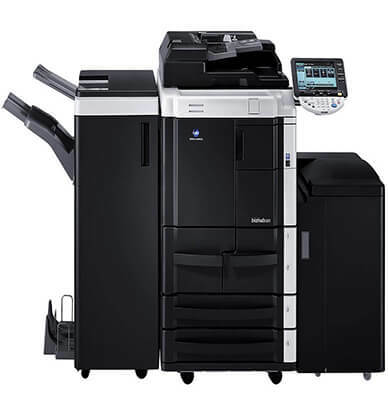 The Bizhub PRO 950 robust monthly duty cycle of 750,000 pages keeps up increasing demands. 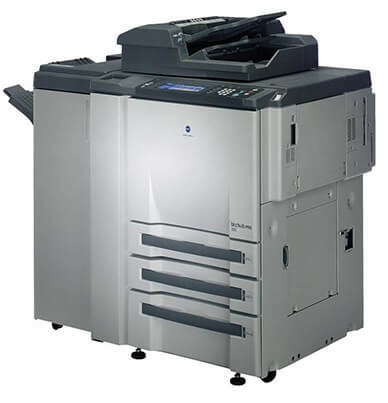 PRO 950 robust monthly duty cycle of 750,000 pages keeps up increasing demands. 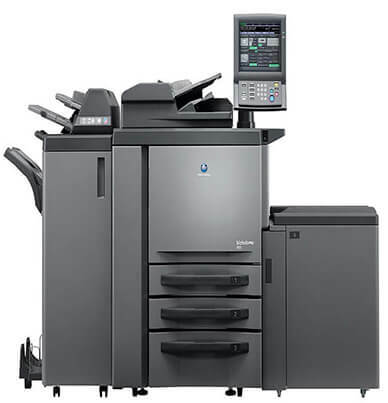 The standard paper capacity of 2,150-sheets stems from the Bizhub PRO 950 1,000-sheet universal paper tray, dual 500-sheet paper trays and a 150-sheet manual bypass tray. 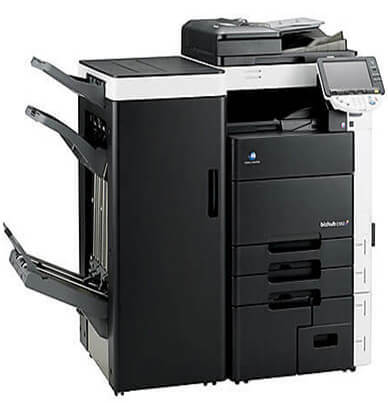 The optional large capacity tray will add additional 4,000-pages; to give the bizhub PRO 950 a maximum paper capacity of 6,650-sheets, which reduces paper reloading. 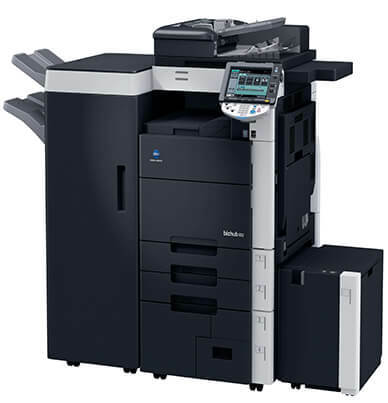 Konica Minolta now presents an affordable but powerful production system for central in-house printing facilities and external print-for-pay services: In the Bizhub PRO 950, a sturdy and reliable construction, high performance and numerous inline finishing possibilities team up with advanced technologies for enhanced black and white print quality. With this powerful combination, the Bizhub PRO 950 has all the answers for the varied requirements of its targeted user group.